Hunter Burn is a so-called ‘fat burner’ supplement that has been formulated to help support you on your fitness journey. We’ve been hearing a lot about this supplement on social media and elsewhere online in recent weeks, so we decided to take a closer look to see whether it lives up to the hype or not. So, if you’re looking to find out everything there is to know about Hunter Burn, then you’ve landed on the right page. 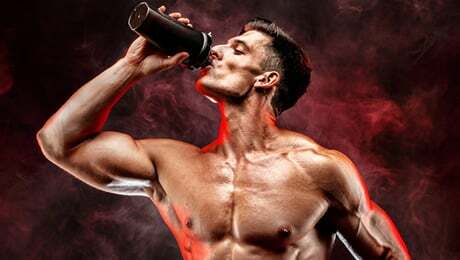 This Hunter Burn review is going to focus on all of the important things that you need to know about this particular supplement as we look to see where it stands. 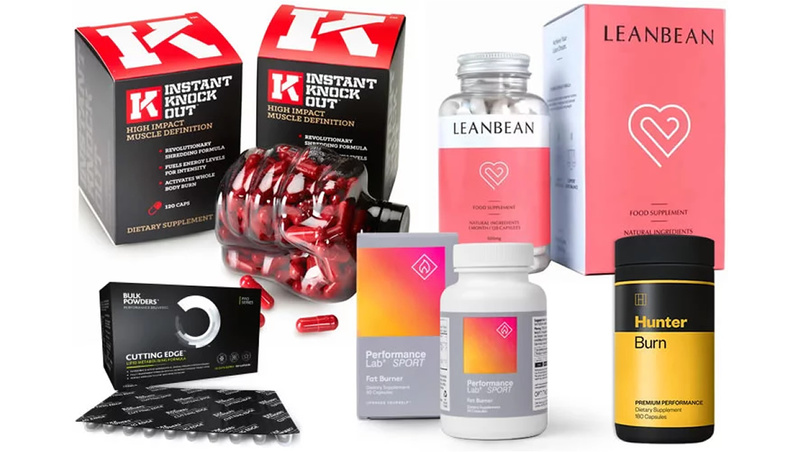 We’re going to be paying particularly close attention to the ingredients formula, dosages and the customer reviews as we look to see whether it deserves a place on our list of the best so-called ‘fat burners’ on the market right now. 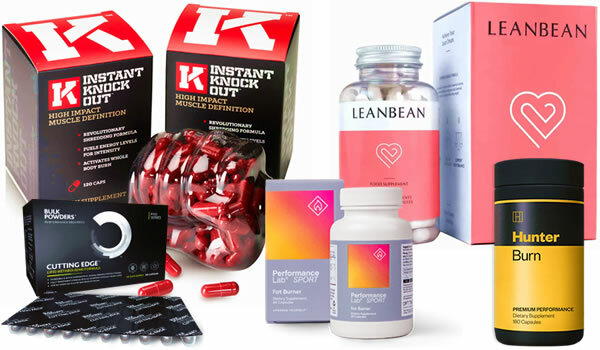 Before we continue, it’s important to realise that most of the supplements in this category, including the one featured on this page, have not been proven to help with fat burning. So, with the introductions out of the way, let’s starting taking a closer look at Hunter Burn to see whether it can deliver on the hype or not. As we have already mentioned, Hunter Burn is a so-called ‘fat burner’ supplement that has been designed to help support your body goals. In case you didn’t know, ‘fat burners’ are supplements which usually contain a blend of plant extracts, vitamins and minerals. They have become incredibly popular in recent years as more and more people look for products to help support their healthy lifestyles. It’s important to note that no ‘fat burner’ is going to work on its own. You should always make sure that you’re eating healthily and exercising regularly before thinking about buying any supplements. Hunter Burn is one of the three products in the new Hunter range of supplements by Roar Ambition. They are high-end products which feature “premium” formulas for people willing to pay a little bit extra for the best products. The official website says that Hunter Burn will help you to “look” and “feel” better. 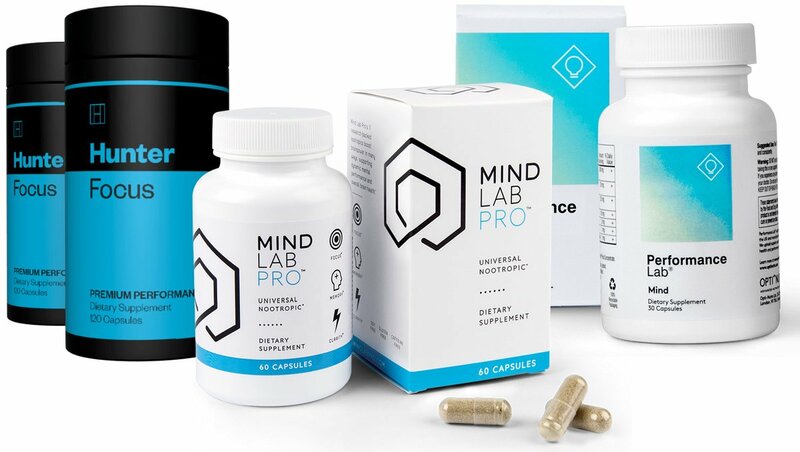 It claims to uses a premium formula and it seems to be made for high-flying individuals who are looking for the best products to help support their goals. The marketing material on the official website goes on to say that Hunter Burn “gives you the power to change”. Quite clearly, Roar Ambition are pretty confident about their product. However, we’ve learnt not to pay too much attention to what manufacturers say about their own supplements. Instead, it’s better to ignore the marketing hype and focus on the important things such as the ingredients formula and dosages. So, with that in mind, let’s start taking a closer look at Hunter Burn and the ingredients it uses. Let’s begin this part by looking at the actual ingredients label of Hunter Burn as printed on the bottle. Firstly, it’s great to see that Roar Ambition have chosen not to use a proprietary blend with this supplement. This means that we are clearly and transparently told the full doses of all of the ingredients on the label. We think this is how it should be – and so this is one major box ticked by Hunter Burn. Glancing at the ingredients list, you’ll probably also notice that Hunter Burn doesn’t use any stimulants such as Caffeine. This is quite different to most of the products in this category, and means that it can be considered as a “stim free” supplement. Let’s now focus on the main ingredients in the formula. • Vitamin D3 – This is an important vitamin that your body creates naturally when your skin is exposed to direct sunlight. It’s a decent inclusion in the Hunter Burn formula, although we haven’t found it in too many similar supplements before. • Konjac Root Extract (Standardized to 90% Glucomannan) – Glucomannan is a dietary fiber which comes from the root of the Konjac plant. It’s a great inclusion and you’ll find it in a lot of the top products in this category. The 3g daily dose of Glucomannan contributes to weight loss in the context of an energy-restricted diet. So, it’s clear to see why it’s been included in the Hunter Burn formula. • White Kidney Bean Extract – This is another relatively common ingredient. 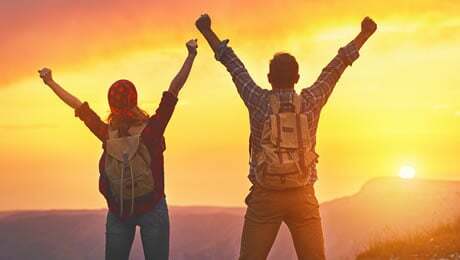 We’ve found it in a lot of the supplements we’ve reviewed in this category recently, and it is claimed to have a number of positive benefits. Each daily serving of Hunter Burn contains 500mg of White Kidney Bean Extract. • L-Theanine – An amino acid which is found in tea leaves, this is another good ingredient. Although we are more used to seeing it paired with Caffeine in the best pre workout supplements, it’s still a good inclusion in the Hunter Burn formula, at a dose of 200mg per daily serving. • Matcha Green Tea – Green Tea is one of the most common ingredients in supplements like this – and for good reason. You’ve probably already heard all about its benefits. It’s a popular hot drink and we also always like to see it included in supplements like this. Each daily serving of Hunter Burn contains 200mg of Matcha Green Tea. • Cayenne Pepper – This is a very potent ingredient which is usually found in the top supplements in this category. It’s great to find Cayenne Pepper in the Hunter Burn formula, and each daily serving contains 125mg. You can find out more about the Hunter Burn ingredients on the official website. The Hunter Burn formula is a pretty solid one. We like the way that the manufacturers have opted to use only a small handful of ingredients and instead focus on including effective doses. That said, we would have liked to see some classic ingredients included in Hunter Burn, such as Vitamins B6 and B12, as well as Chromium. However, it’s clear that Roar Ambition are focusing on quality over quantity when it comes to the ingredients of this supplement. As always, we strongly advise that you speak to your doctor before thinking about taking any new supplement for the first time. The main problem when it comes to supplement side effects is the overuse of stimulants such as Caffeine. That’s not a problem here, as Hunter Burn does not use Caffeine as an ingredient. However, the Matcha Green Tea is likely to be a small natural source of Caffeine – so this is worth bearing in mind. You should always carefully check the label to make sure that you’re not allergic to any of the ingredients, but the Hunter Burn formula looks like a pretty sensible one to us. Each bottle of Hunter Burn contains 180 capsules, which is the equivalent to a one-month supply. The directions say that you should take two capsules with a big glass of water, three times a day. 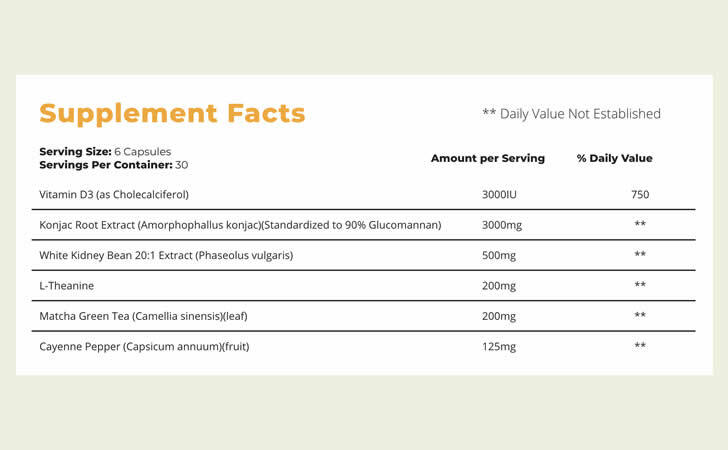 That’s six capsules in total, which is quite a lot – but that’s presumably the only way the manufacturer would be able to fit in the daily 3g dose of Glucomannan. As Hunter Burn is a new product, there is not much in the way of customer feedback yet. That said, we will keep our eyes peeled for Hunter Burn reviews as they filter through in the coming weeks and months, and we’ll update this section when they start to come through. You can only buy the Hunter on the official website, which means that you won’t find Hunter Burn on Amazon. That means that there won’t be any reviews on there. Overall, we’re pretty impressed with Hunter Burn. It’s a high-end supplement that has been formulated for people who are willing to pay a little bit extra for the top product. It’s great that it doesn’t use a proprietary blend, and it has a number of top ingredients such as Glucomannan and Cayenne Pepper – which are all included in effective doses. This supplement would also suit someone who’s looking for a Caffeine-free supplement to help support their workout goals. The obvious downsides of Hunter Burn are the higher price tag, and the fact that you can only buy it directly from the manufacturer on the official website at the moment. As we mentioned at the start of this Hunter Burn review, there is no such thing as a magic pill to solve your fitness problems. You should always make sure that you’re sticking to a good diet and exercising regularly before even thinking about buying a supplement. 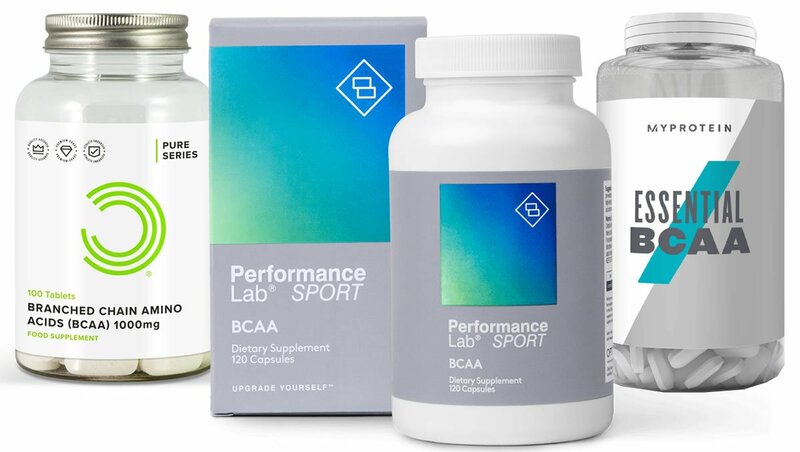 Supplements like this have been formulated to help support your goals – but they must be combined with the correct lifestyle choices. 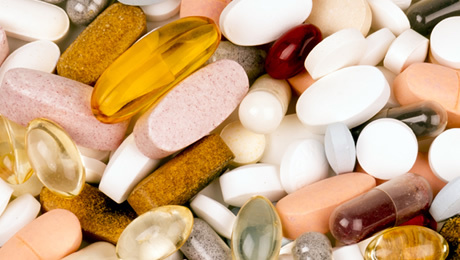 You can’t simply take a supplement, continue living an unhealthy lifestyle, and expect to see results. 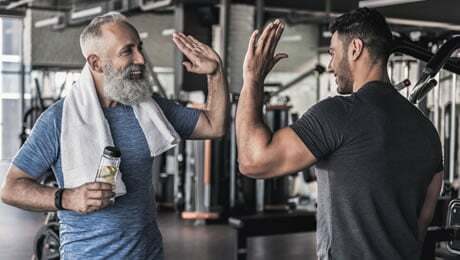 That said, when combined with the right lifestyle choices, supplements like Hunter Burn can indeed help to support you on your fitness journey. That brings us to the end of our Hunter Burn review. Overall, we think that this is a great supplement if you’re looking for a product to support you on your journey. It contains good doses of some of the best ingredients, and doesn’t use a proprietary blend. If you’re looking for a high-end product and don’t mind paying a little bit extra, then Hunter Burn is a very good option indeed. This article was last updated on March 28, 2019.